The idyllic village of Cockington, close to the English Riviera, is hidden in a deep valley just a mile from busy Torquay. It is accessible from the seafront by bus or car, or alternatively by the more romantic horse-drawn carriages. Narrow winding lanes lead into the village where even the public toilets are thatched. It is a chocolate box picture perfect place, complete with an old forge, thatched cottages and an old manor house. The village of Cockington was mentioned in the Domesday Book and has retained its old world charm. It also offers cafés and shops for the visitor. Although the village is in the heart of urban Torbay, it remains untainted by modern developments. Unsurprisingly it is one of the most photographed places in the country. The surrounding country park and woodland makes Cockington an ideal centre from which walkers can explore the area. There is plenty of car parking space available. One route leads past the historic Cockington Forge at the centre of the village up the hill to a right turning. A gate leads into the grounds of Cockington Court, 460 acres of parkland, woodland and farmland. A well signposted path leads to the woodland walk, or it is possible just to follow the paths around the lakes in this picturesque and tranquil setting. The lakes are thought to have been created to supply fresh fish by monks from nearby Torre Abbey. The Gamekeeper’s Cottage is situated in the shadow of Manscombe Woods and was recorded as early as 1517. 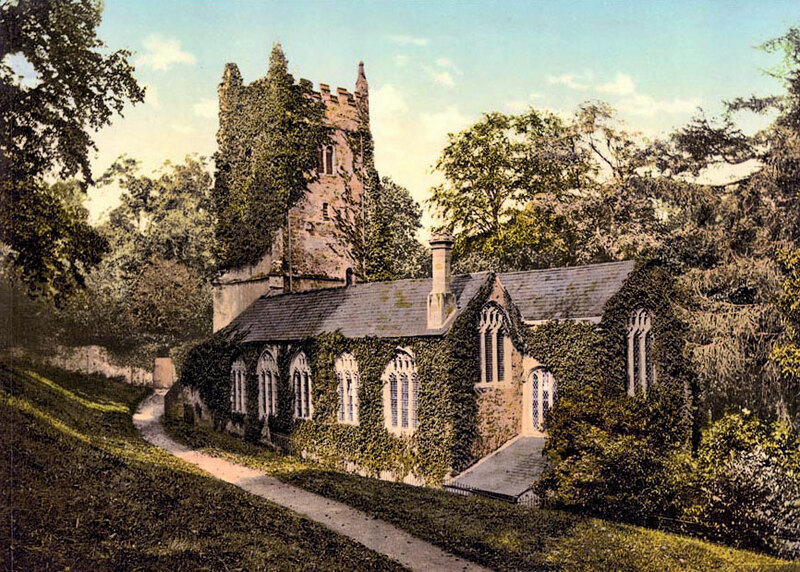 It continued to be occupied by gamekeepers until the early 20th century. These days it is an environmental education centre. There is still a slatted area, just beneath the roof, where pheasants used to hang after a shoot. Cockington Court was the home of the local squires from Saxon times until 1932. The present manor house was believed to have been built in the 7th century, although there has been a house here since at least the 12th century. It is now managed by the Torbay Coast and Countryside Trust. There are tea rooms and a craft centre here and the famous horse and carriage rides also start from here. The Glass Anvil Gallery displays new designs of wrought iron and blown glass and there are many other places of interest at the Court. There is the Norman church of St George and St Mary close by and an organic garden close to the house. Cockington Country Park has won the prestigious Green Flag Award for nine consecutive years. The Ark Play Area is at the rear of the court, behind the car park. It is specifically designed to be used by both disabled and able-bodied children and includes a wheelchair see saw, a turning stone, sound boxes, a singing stone, a water feature with seesaw pump and fountain and the usual slides and ramps. Back in the centre of the village, the forge dates from the 14th century. The oldest postcard featuring Cockington was of this forge and it was taken on a winter day in the last decade of the 19th century. Opposite the main car park is the Drum Inn which was designed by the famous architect, Sir Edwin Lutyens. 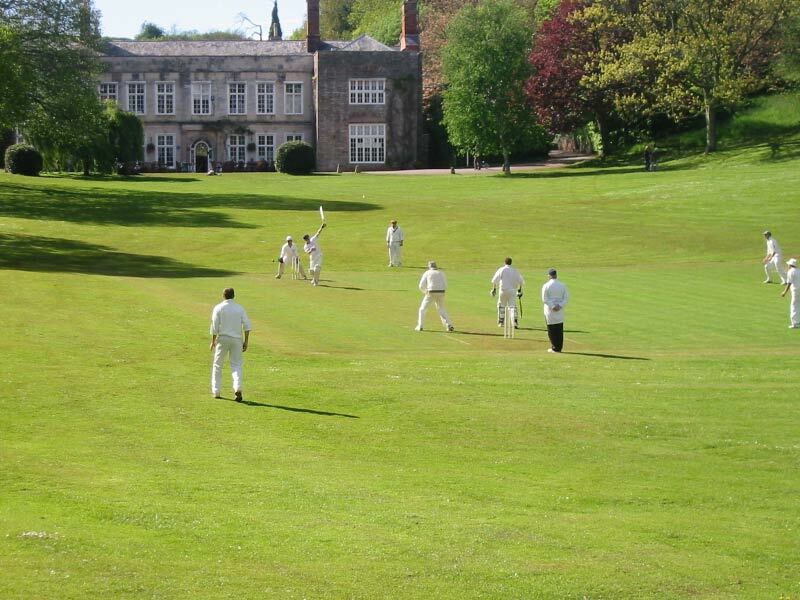 A footpath through the gardens of the Drum leads to the cricket ground which provides a venue for many outdoor events. One of these is a local "Last Night of the Proms".